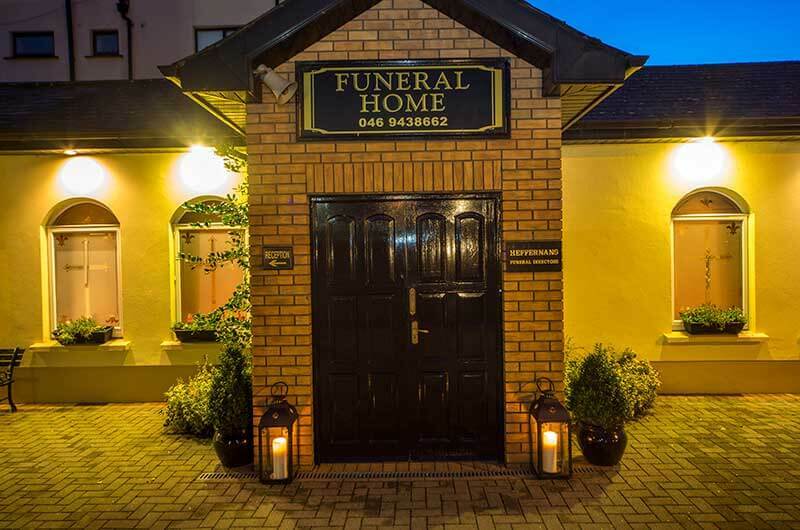 Aidan, Niall and their team at Heffernans Funeral Directors are available 24/7 for any questions you may have. There is no such thing as a silly question so please do not hesitate to contact us. Below are some frequent questions that we have been asked in the past. If your loved one dies at home, you will need to contact your doctor. Once the death has been medically certified, we can then remove your loved one to our funeral home. You may also wish to contact your local clergy. If your loved one dies in a hospital or nursing home, the medical certification will automatically happen. If a death is unexpected the doctor may decide to inform the coroner. Aidan/Niall will meet the next of kin responsible for making the funeral arrangements. They will guide you through each step of the process at a time and location of your choosing. Do you look after all arrangements? Do you provide transport for the funeral? We can arrange a funeral car if you so wish. Each car can accommodate up to seven people. Do I need a death cert before the funeral can proceed? No. The death cert can be obtained after the funeral has taken place from your local Registrar of Births, Deaths & Marriages. In the case of an unexpected death, the coroner will issue an interim death cert which will enable the Executor to progress the affairs of the deceased. Repatriation can be complex and takes time but rest assured, Aidan/Niall will take care of all arrangements including liaising with coroners, embassies, airlines etc. Do you provide Condolence Books? Yes. Books of Condolence are provided at our funeral home, church or crematorium. As every person is an individual so too is the funeral that reflects their life. The cost of a funeral varies depending on the arrangements made. We offer assistance in deciding on a funeral which conforms to the wishes of the family and is within their particular budget. Can I pay for a funeral in advance? Yes. All arrangements are made with Aidan/Niall, but payment is made directly to Golden Charter Trust, who hold the money for your funeral on behalf of Heffernans Funeral Directors. We can provide you with a legally binding contract, which guarantees your funeral arrangements thus alleviating stress and heartache for your loved ones yet knowing your final wishes will be adhered to. Please don’t hesitate to contact us for further details. Can I pre-arrange my funeral but not pay for it in advance? Yes. 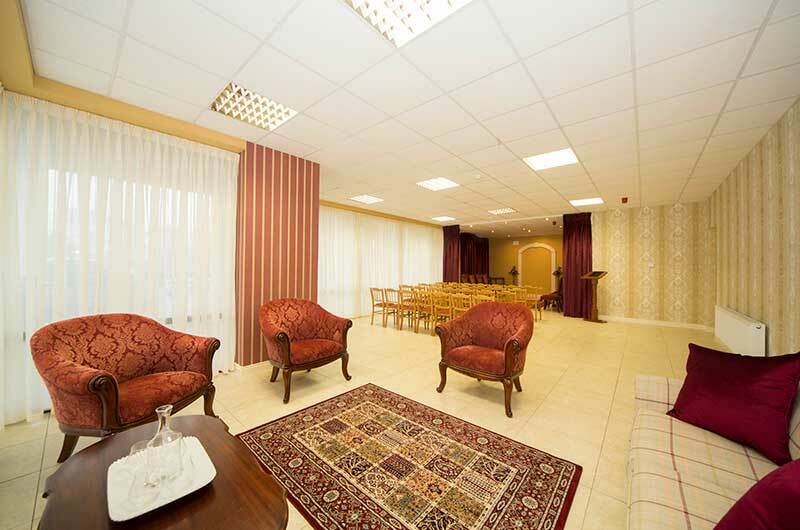 We can discuss and arrange and plan all aspects of your funeral in advance without necessarily paying in advance. We will keep these arrangements on file for you and these can be updated at any time. We also recommend that you should inform your solicitor or executor of your wishes. Contact us for more information. Do you organise the Headstone for the grave? Yes. Through our association with Oliver Rennicks Memorials we can put you directly in touch with them and they will guide you in your decision in relation to the erection of a new headstone or indeed inscription and cleaning of an existing one. Mourners gather outside the chapel. Upon arrival of the funeral cortege, the coffin is carried into the chapel with the family directly behind followed by the mourners while an entrance piece of music is played. The coffin remains at the top of the chapel on full view for the duration of the service. Finally, at the end of the service the curtains close gently and gradually as all say their final goodbye. Usually this is done accompanied by music or prayer. If a church service has already taken place the duration of the cremation service is usually 15 mins. 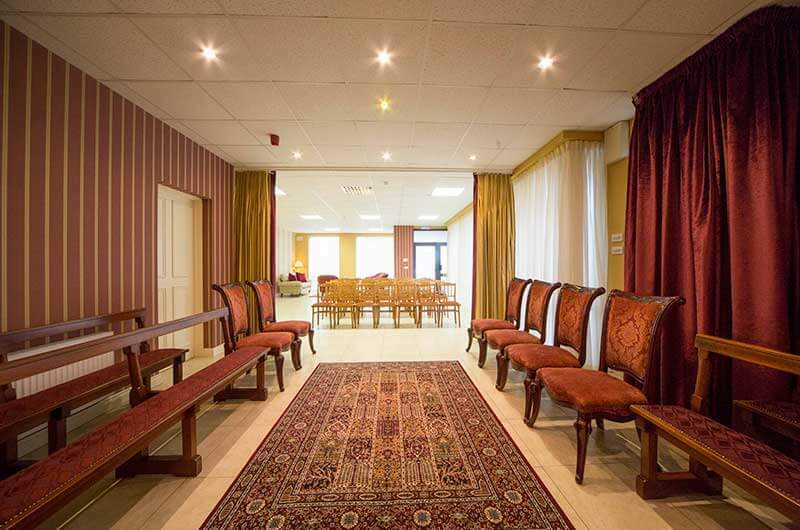 However, if no prior service has taken place a family can have the option to have a full funeral service in the Crematorium which can take up to an hour duration. This usually takes place in the afternoon. Is the coffin actually cremated? Absolutely yes. The remains cannot be safely placed in the cremator unless the coffin is used. How can I be sure that I receive the ashes of my loved one? A cremator can only accept one coffin at a time. When each cremation is finished the cremated remains are then placed in an urn or casket which are individually identified. How soon can I collect the ashes? Ashes are usually available for collection three to five working days after the cremation service. 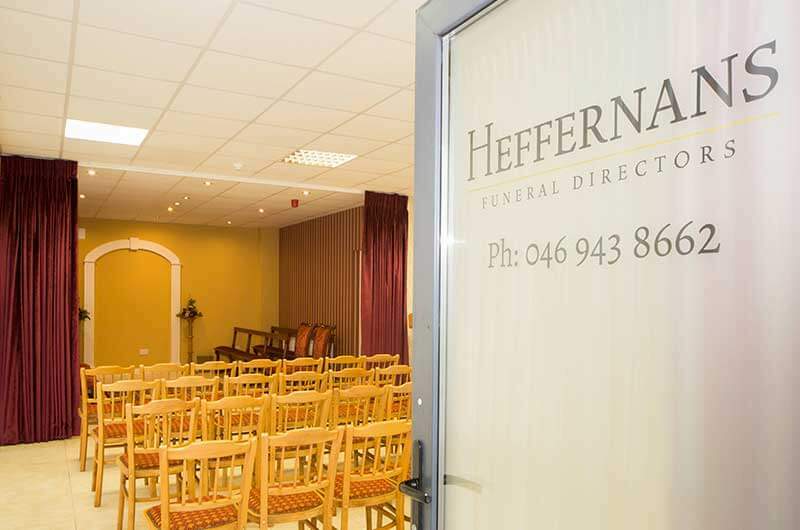 As part of Heffernans Funeral Directors service, we collect the ashes on your behalf and retain them until the next of kin are ready to instruct the final resting place for the ashes. Indeed, a combination of all the above can also be decided on. Is a cremation more expensive than a burial? In general no, but final cost will depend on many factors including final resting place of ashes, availability of family plot etc. Please contact us to discuss your options in greater detail.